So you’ve decided you need a website, purchased a great domain name and are now looking for someone to design it for you. With all the options out there to choose from, it’s hard to know where to begin. No doubt there are many people “up to the task” your friends and family might know of … If you purchased a business domain name and decided not to make your registration details private, you’re probably getting lots and lots of emails and phone calls from aggressive marketers as well. With all the information available it’s hard to know who to turn to with such a big decision. After all, your website is your business! 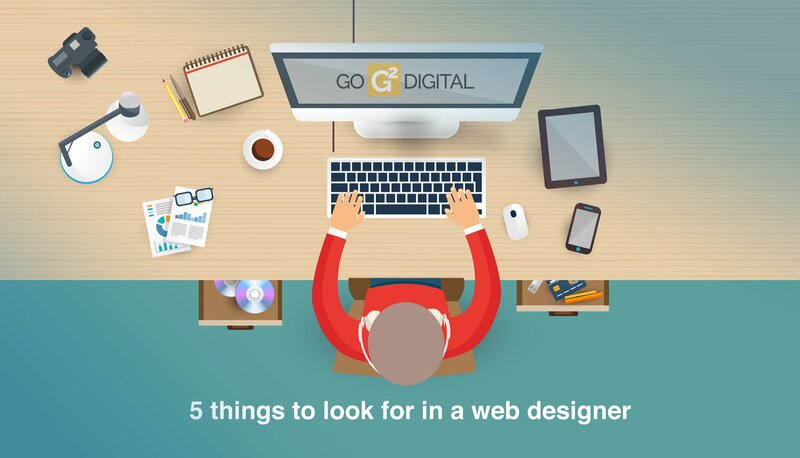 So what are the most important 5 things to look for in a web designer? Here are some helpful tips in finding the right web designer for the job. 1. Does the designer provide a personalised service? 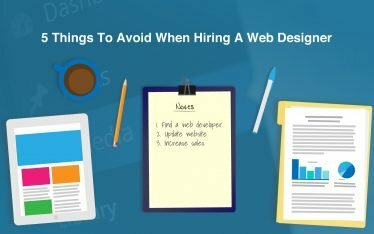 Now that you’ve set your business plan, established a budget and have a decent idea what you’d like to have for your website, it’s time to find and review some potential web design candidates. When discussing your needs, ask yourself, is the designer really listening to what you want? Do they provide clear information about their services? Are they willing to sit down, listen and discuss your business, your goals and provide intelligent insights about opportunities you may not know about? A good designer can only know about your needs if they take the time to listen, show a desire to understand your business and then clearly define what they can do, how they would do it and highlight any additional opportunities that may be overlooked. Getting a dedicated, experienced and personable designer can save you heaps of time, effort and ultimately money. If you’re wanting a website, or anything important for that matter, it pays to know you’re dealing with someone who has your back (not theirs). 2. Does the web designer have the right experience for the job? Keeping your budget in mind, there are several options and scalability is one important factor. While you might want to hire a large design agency to provide an amazing looking site, this might well be way beyond your budgetary constraints. Agencies with a snazzy office and a full-service staff might ultimately be able to yield the best results, but at what cost? Someone has to pay the bills, and ultimately you are. Conversely, you might be able to find some remote designer for mere pennies on the dollar, but be prepared to spend even more of your time and effort getting something of commercial value. Choosing the right designer for your budget is a balance of experience over cost. Alternatively, there are several independent and highly qualified designers out there who might be able to work in-house and remotely, as well as part of a larger team effort whenever needed. 3. Does the designer present you with the best tools for the job? Technology and the internet is ever changing and what was good yesterday may not be that great today. Fortunately, having the best tools for the job doesn’t have to involve huge capital expenditures, but it does take an individual with a keen mind. Does the designer have a demonstrated ability to adapt to new technologies and marketing ideas? A good designer knows what’s available, how to use it effectively. They can also provide you with a detailed understanding of why and how to take advantage of those trends. Someone who rattles on about advanced technical issues, but can’t provide you with examples of why this is beneficial in clear terms isn’t being helpful. To utilise your website effectively, you’ll need to understand how it works in relation to the bigger picture. 4. Does the web designer properly understand their role? Many times a designer might do either one of two things at great disadvantage to you when it comes to building your website. Some designers will completely take over virtually every aspect of the process from concept to completion and not listen, or appreciate any feedback you might have during that process. In the end, they are just building their own website with your business as their design portfolio. The costs will be high, usability poor and relations strained. Other designers won’t be able to accomplish much of anything without your constant approval, or guidance so you might as well have taken the time to do the website yourself in the end. A good designer will be fully able to create and manage a website from concept to completion, readily listen and discuss any ideas or concerns you might have, then take the time to clearly discuss differences ultimately leaving you fully in charge of your informed destiny. 5. Is the designer more than just a designer? Let’s say your website is the engine of a car and it operates as the tool that drives your business where you want it to go. There’s much more to getting from point A to point B then just the engine itself. A good designer will plan your website with a complete range of components. Your vehicle needs all the bells and whistles needed for a successful customer journey. Are they well versed in SEO and SEM? Can they properly integrate your social media channels and branding effectively? Do they utilise wireframes? Can they integrate with CRM systems, or other lead generating/marketing tools? Will they integrate your site with detailed analytics and security features? Can they properly submit and maintain your sitemap? The best websites are like well functioning cars. They come with a complete, integrated and well functioning system behind it. One that you can understand and know how to operate effectively. If you’re ready to get started and think this sounds like a good way to find a web designer for your business, G2 could be the right choice for your project. Contact me to start a conversation here.